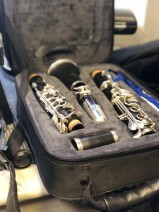 The Buffet B12 Clarinet is a fantastic choice for beginners and advancing clarinetists looking to purchase a high quality instrument. Recommended by teachers, the Buffet Crampon clarinet is made of ABS, making it lightweight and durable but with fantastic tone and intonation. Included with this clarinet is a back pack gig bag along with a Buffet mouthpiece, ligature and a reed. This Buffet Clarinet offers so many of the features that you would expect from a high standard instrument. The ABS body has been buffed to make it look and feel just like a Genadilla wood replica. Not only does the ABS make it great to control and easy to blow, but it is also lightweight and easy to clean. This makes it great for any younger player or starter instrumentalist. 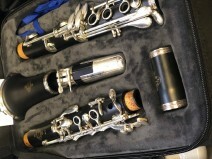 The Buffet B12 clarinet has a simple design featuring the standard 17 keys and and 6 rings. All keywork is nickel plated, making it long lasting. The keywork has been thought through sensibly and an ergonomic design has been utilised making it great for beginners and younger students. This combined with an adjustable thumb rest, makes the B12 very nice to play. All tone holes have been undercut and combined with double fish skin pads, this creates a great seal with better intonation and tone. The Buffet Clarinet range comes with a wealth of knowledge and experience from some of the finest craftsmen in the world. 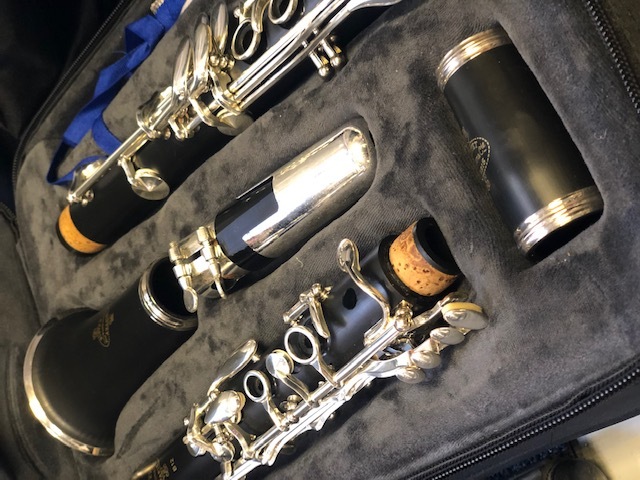 The Buffet B12 in particular stands as the best selling student clarinet, so much so that is recommended by professionals and teachers alike. Made in Markneukirchen in Germany, this clarinet will ensure many years of hassle free playing through its ease to service and maintain. The Buffet B12 comes with a host of additional bits and pieces so that you can play the clarinet as soon as it arrives. Included in the package is a mouthpiece, ligature and reed, enabling you to play the instrument straight out of the box. 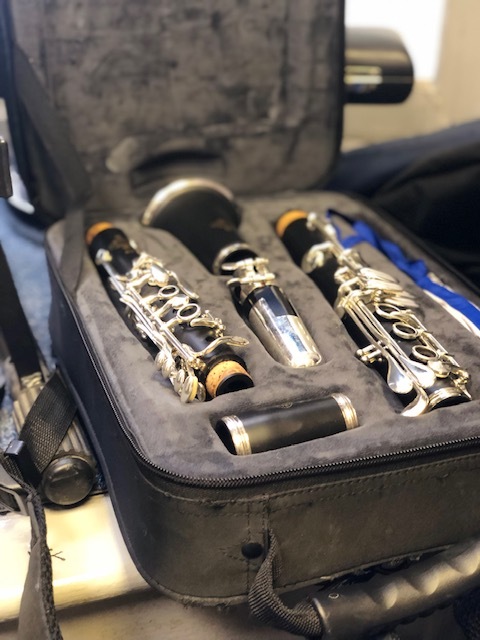 Also included with the clarinet is a back pack-style gig bag which allows for easy storage and carrying around to and from school, rehearsals and concerts.